3&gt;We believe that quality is the soul of an enterprise. we can send the right price products price catalogue in time. 3&gt;your quantity order and quality requests will help us to quote you the best price and delivery time. sample time 5-7days after artwork approved color soft enamel/ synthetic enamel/ hard enamel etc. We have a staff of graphic artists and they will create your design from any information that you can provide. We do not stock any products however we can create any custom design that you want. Our company have established for more than 6years. , we will advise you the best-selling size for your market. Generally, the more you order, the cheaper you get. metal award plate dish: 1. material : zinc alloy, brass,bronze,copper, pewter, silver etc. 2, use: awards or souvenirs 3. color: bronze 4. size: 22 cm or custom 5. outerpacking size(carton): 56x55x36cm, 6pcs/carton 6, OEM and sample order is welcome . 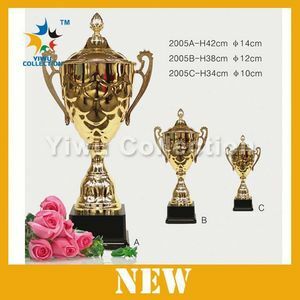 Alibaba.com offers 614 trophy name plate products. About 12% of these are metal crafts. 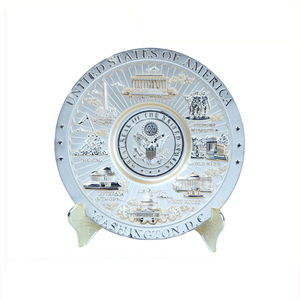 A wide variety of trophy name plate options are available to you, such as antique imitation, nautical. You can also choose from business gift, souvenir. As well as from free samples, paid samples. 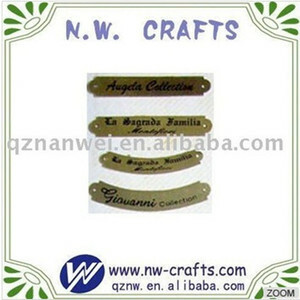 There are 614 trophy name plate suppliers, mainly located in Asia. The top supplying country is China (Mainland), which supply 100% of trophy name plate respectively. 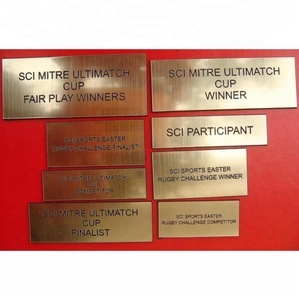 Trophy name plate products are most popular in North America, Western Europe, and Southeast Asia. You can ensure product safety by selecting from certified suppliers, including 23 with ISO9001, 17 with Other, and 1 with GSV certification.